Cannabissearch.com Buzz Rating: G4 provides an effect that is hard to compete with. It hits hard and fast, like an NFL linebacker sacking the QB, providing intense cerebral stimulating, followed by an even more overpowering, yet highly enjoyable body stone. If you're looking for a potent indica-dominant strain that will provide those much-needed pain relieving effects as well as an energetic heady high, then you need not look any further than G4. It's believed to have come from British Columbia and always comes in dense and highly frosted buds that taste of fresh wood, skunk, earth and citrus. G4 is suitable for indoor as well as outdoor growth. Her yield indoors will be moderate, while her outdoor counterpart has shown considerable improvement on quantity while retaining that oh-so-precious potency. She�ll flower for 8 to 9 weeks and may take more than a week to show any signs of flowering after the 12/12 switch indoors. 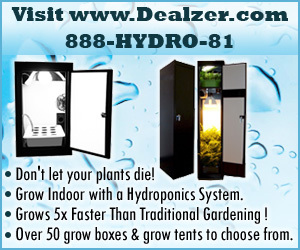 She�s also a suitable candidate for either a SoG garden or a ScrOG grow. Look for G4 wherever you get your medicine - or better yet, ask your budtender if they can order you some clones. G4 5.00 out of 5 based on 1 ratings. 1 user reviews.